Japan's most famous city, full of stunning modern skyscrapers and continuously flashing neon lights, Tokyo is the official seat of politics. Home to the Japanese Government, Tokyo is a vast metropolis, which has grown in size and stature from the early 1600s, to become Japan's capital city. 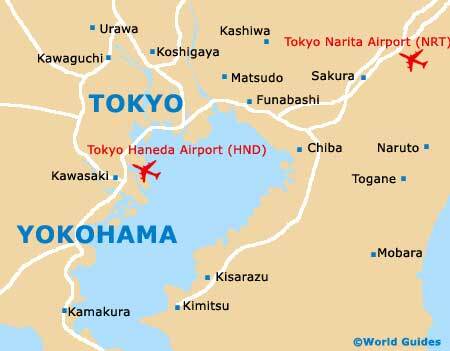 Located on the eastern coast of Honshu Island and next to Tokyo Bay, the city is amongst the world's most important economic centres. With fast bullet trains, a huge subway network, a truly chaotic rush hour, areas of concrete jungle, historic temples, the Imperial Palace and many enormous shopping arcades, Tokyo has everything that you would expect in a leading Japanese city, and plenty more besides. Tourists visit Tokyo from all over the globe and find that a holiday in Tokyo is a true blast, with highlights including the Tsukiji Fish Market, traditional Japanese baths at the Azabu-Juban Onsen, and innumerable shrines. Central Tokyo comprises 23 wards, known locally as 'ku'. You will find it much easier getting around this area if you visit one of Tokyo's Tourist Information Centres, where helpful tourism advice and a free copy of the 'Tourist Map of Tokyo' await. Although it has a reputation as an expensive city, Tokyo also attracts thousands of backpackers and budget travellers every year with its blend of history and sparkling modernism. Whilst a trip here can add up, Tokyo hostels offering cheap dorm beds and private rooms help travellers keep the costs down. A fast-paced city with a wealth of tourist attractions, you won't find it difficult to search out things to do in Tokyo. 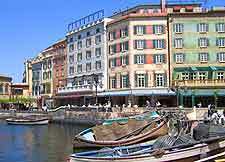 The thrilling rides, boutiques, colourful parades and restaurants at the Tokyo Disney Resort are hard to beat, although the roller coaster and huge Ferris wheel at the historic Hanayashiki Amusement Park is a good alternative. For game players, the Play Station floor at the Sony Building will be sure to keep you occupied for hours, while for historians, the Imperial Palace is a particularly impressive sight and the official residence of the Emperor of Japan. Around the city of Tokyo you will find many impressive gardens, parks and green spaces, offering a contrast to the busy city centre. Particularly popular, Ueno Park boasts historic shrines, a large lake, museums, springtime cherry blossoms and even the city zoo, while the themed gardens within the Jindai Botanical Park are equally impressive. Home to a rather unusual collection of giant rocks, the Kiyosumi Garden is typically Japanese in style. For a more traditional, western-style parkland in Tokyo, visit Inokashira Park, where you will find a boating pond, petting zoo, and plenty of picnic spots. 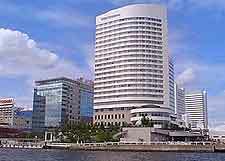 More information about Tokyo Tourist Attractions. 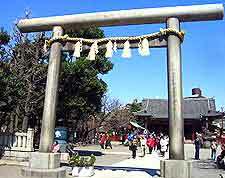 Important landmarks abound within Tokyo, both old and new, including many ancient shrines and temples. When visiting the city, look out for the 17th-century Asakusa Shrine, the huge Kaminarimon (Kaminari Gate), Hanazono Jinja Shrine, Meiji Jingu Shrine and also Tokyo Tower. Towering high above the skyline, Tokyo Tower offers two observation decks, where you can enjoy some of the best views on offer, overlooking both the city and nearby Mount Fuji. More information about Tokyo Landmarks. Tokyo is famous for its cultural attractions and visiting tourists will find plenty of museums and galleries worth exploring. Highlights include the detailed models at the Edo-Tokyo Museum, the ceremonial aprons at the Tokyo Sumo Museum, the dinosaur displays at the National Science Museum, the Japanese handicrafts and colourful ceramics at the Tokyo National Museum of Modern Art, the huge collection of archaeological artefacts and art works at the National Museum, and the modern paintings and ikebana flower arranging at Tokyo's popular Metropolitan Museum of Art. More information about Tokyo Museums and Tokyo Art Galleries. The Greater Tokyo area is simply vast and has become the most densely populated metropolitan area on the planet, being home to more than 35 million inhabitants. Close to Tokyo city are a number of nearby cities and towns that warrant exploration, with the most popular tourist attractions including the Omiya Bonsai Village on the outskirts of Tokyo, the many seaside landmarks within Yokohama, the longest monorail in the world at Chiba, the numerous historic temples within Kofu, the beautifully landscaped Kairaku-en Japanese garden within Mito and the immense Bell Shopping Mall within the nearby city of Utsunomiya. 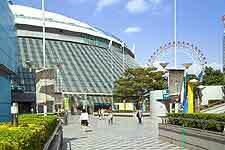 More information about Tokyo Attractions Nearby.